LUCERNE, Switzerland—The Lucerne watch company ochs und junior presents the 36mm annual calendar in grade 5 titanium and German silver. ochs und junior manufactures watches designed by the watchmaker and scientist Dr. Ludwig Oechslin. The right size is an essential part of your perfect watch – so naturally, it’s part of customizing your ochs und junior! 36mm is a diameter we have always offered for Ludwig Oechslin’s annual calendar, moon phase, date and two time zones watches – the watches which Oechslin has designed for the dependable ETA 2824-2 base movement. Some of the earliest ochs und junior prototypes were executed in 36mm, as some of the images in our 8. December 2009 and 1. February 2010 blog posts illustrate. And over the years, we have manufactured these functions in 36mm for a handful of clients upon special request. However, until now, we had never shown a production ochs und junior in this diameter on our website. We manufactured the 36mm annual calendar pictured in this post to serve as a reference. All of its dial components have been manufactured in German silver, and the case is made out of grade 5 titanium. 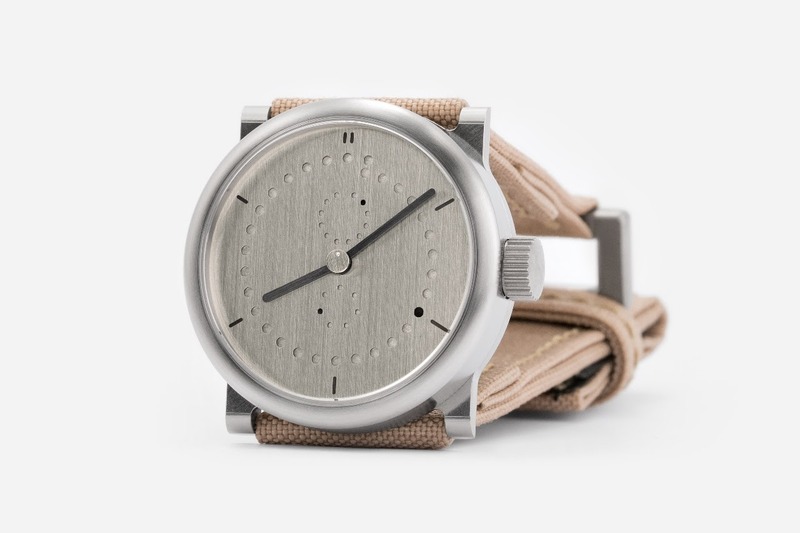 We have placed the watch on a textile strap with a Kevlar core, which features a grade 5 titanium “loop” buckle. O&J produces this watch in 36, 39 & 42mm. All of the customization options that are available for the 39mm and 42mm editions are also available for 36mm. However, our customizer tool does not feature 36mm as an option. To order your watch in 36mm, we recommend designing your watch using the 39mm setting in the customizer. Once you are finished, you can directly tell cofounder Beat Weinmann that you would like to have your watch manufactured in 36mm. We manufacture about 130 watches per year, and each order is personally handled by Weinmann. There is no additional charge for ordering your ochs und junior in 36mm, as all of Oechslin’s ETA-2824-2 watches can be had in this size (annual calendar, moon phase, date, two time zones). We offer the day/night starting in 40mm, and the perpetual calendar starting in 42mm. These are the minimum possible diameters for these models based upon their functions and base movements (the UN-320 and UN-118, respectively). Upon special request we have manufactured larger perpetual calendars and day/nights, including a 43mm day/night, and even a 47mm perpetual calendar. And now, we have presented our reference watch for 36mm, the minimum possible diameter for Oechslin’s ETA 2824-2-based collection. We look forward to learning your wish! is it would be the next day. Maybe it's just me but it looks complicated.